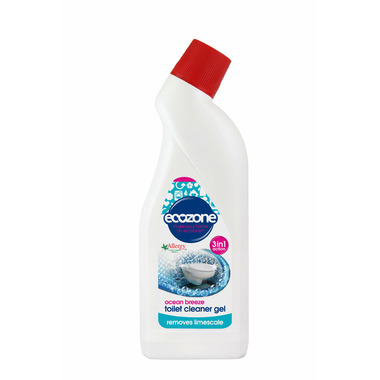 Ecozone Toilet Cleaning Gel uses plant derived cleaning ingredients to clean your toilet with ease. Its powerful formula helps clean stains and removes limescale in a flush.Its even safe to use with septic tanks. Directions: Ecozone Free From҅ Toilet Cleaner's easy to use. Just lift the toilet seat and squirt evenly under the rim of the whole toilet bowl. Clean your toilet regularly to keep dirt away.